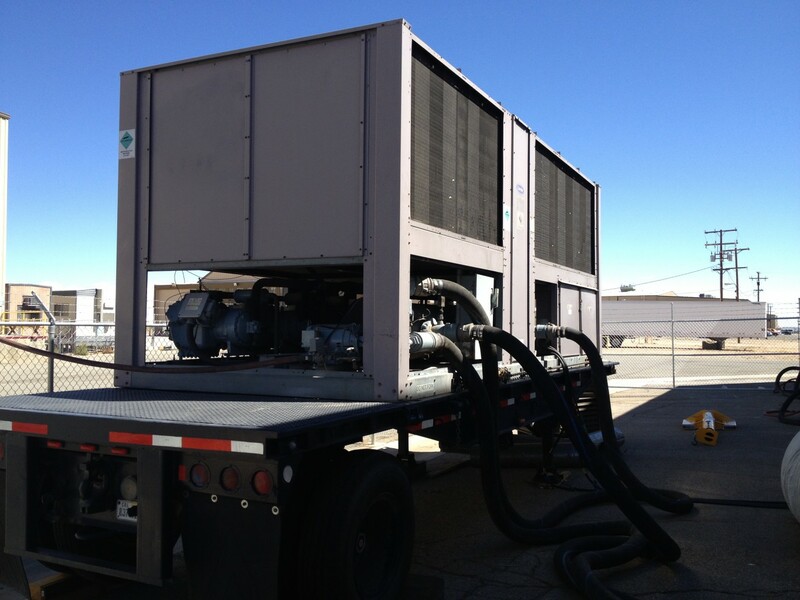 LA BREA AIR is best known for our expertise in this size of air cooled chillers. These Large air cooled chillers can provide emergency cooling for your building, hospital, school or large commercial or industrial applications. 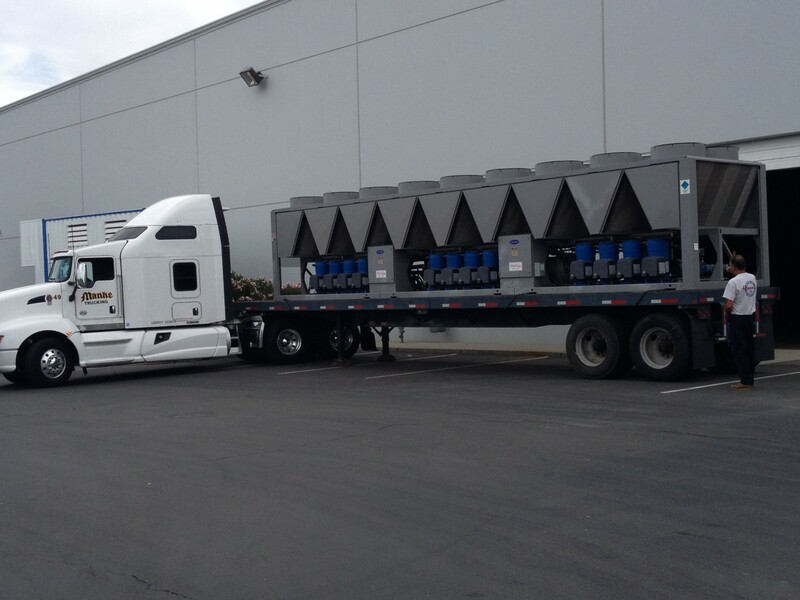 All of these large air cooled chiller come delivered on trailers for specialty cooling of emergency temporary process and manufacturing applications. These large chillers come with a water pump, cam lock power cables, cam lock water hose and make up water hoses for a complete self contained cooling system that only requires power to start cooling your system that is “off-line”. Typical applications include providing temporary cooling during emergency chiller repairs and or supplemental cooling when your system is not providing adequate chilled water. 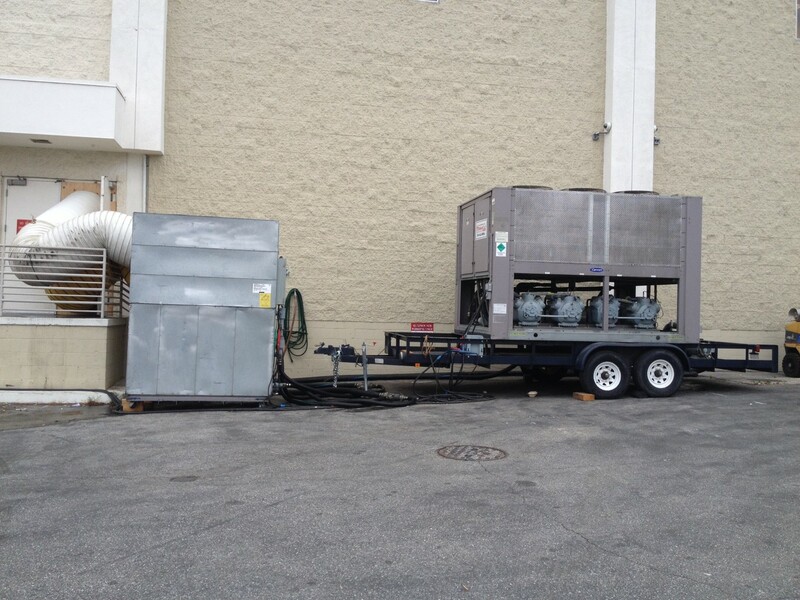 A temporary 300 ton air cooled chiller for instance can produce about 700 gallons per minute of 45 F degree water. Power requirements are either 208 volts, 230 volts or 460 volts, three phase, 60 cycle, power which is found in most large commercial and industrial facilities. LA BREA AIR can provide just about any other accessories including plate and frame or shell and tube heat exchangers. If electrical power is not available at your location we can also provide a portable mobile rental diesel fueled generator to power the rental portable unit. Another popular application is to connect one of our chillers to a portable air handler which can provide cold air to your HVAC system while your existing HVAC fans, pumps or chiller is being repaired. La Brea can provide seamless cooling even while your repair parts are back ordered or manufactured typically in a day.